Tonight, one team, SK Telecom T1, chases its third-ever League of Legends World Championship win, while another, Samsung Galaxy, shows us if it has any tricks left up its sleeve to prevent that from happening. Matches will begin at approximately 7:30PM EDT, held in the Staples Center in Los Angeles, California. You can watch them live in the stream below. Additionally, there’s an alternate stream with commentating aimed at first-time viewers and newcomers to League of Legends, available here. SK Telecom T1 have looked incredible all tournament and seem unlikely to be stopped. If ROX Tigers couldn’t do it after a spectacular five-game series, what hope do Samsung Galaxy have? At the same time, Samsung Galaxy have shown that they can punch above their weight throughout the tournament, something they’ll have to do again tonight if they hope to stand any chance of stopping SKT from once again making League of Legends history. It’s competitive gaming’s equivalent to the Super Bowl, and the New England Patriots are about to take on the Buffalo Bills. The championship will be determined by a best-of-five series, with the winner bringing home not just $2 million of an ever growing prize pool, but also prestigious Summoner’s Cup. 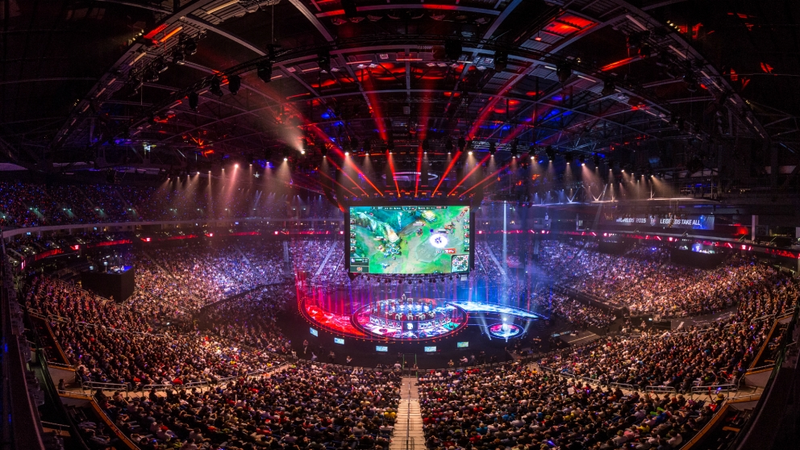 You can watch a short primer on the League of Legends World Championship here. Both teams came out of the first phase of the tournament at the top of their group, with SSG having arguably had the more difficult task of beating back China’s Royal Never Give Up and America’s Team Solo Mid. But in the knock-out round, it was STK that showed they had no plans of choking, steamrolling over stiff competition from the best China had to offer, as well as edging out South Korean rivals ROX Tigers in what may turn out to have been the best series of the tournament. While SSG had an impressive 3-0 series finish in the semifinals against Europe’s H2K Gaming, it’s clear they have yet to be tested in the same way as their opponents were. But the obstacle called SKT also provides and opportunity for SSG; a chance for the relatively young and previously less respected side to prove the analysts wrong and show the fans they deserve to be talked about in the same sentence as the esport’s most legendary team. Doing that won’t be be easy, and will probably require more than a little luck, or at the very least something resembling divine intervention. There will be three main fields of contest for both teams. First, there’s the mid-lane, guarded on one end by perhaps the best player in the world, Lee “Faker” Sanghyeok. For SSG to stand a chance, Lee “Crown” Minho will have to hold his own against the SKT demi-god. Then there’s top-lane, an area often overlooked as teams try to prioritize the action going on bottom, but one which can prove dire for the team who loses it first. SSG’s Lee “CuVee” Sungjin will have to prevent early collapse at the hands of SKT, soaking up pressure but not crumbling under it as SKT look to advance, with Lee “Duke” Ho-seong leading that attack up top. And finally there’s the “X-factor” in the jungle. SKT’s Kang “Blank” Sungu is no slouch, and Bae “Bengi” Seongung was integral to the team’s eventual triumph over ROX Tigers in their bitter 3-2 semifinals. Kang “Ambition” Chanyong, playing opposite them in the jungle, will have to create something special, perhaps even blindly poking and prodding at SKT’s defenses, if SSG is going to find its way into games against their superior opponents. Whether the risks taken by ambition end up paying off for SSG could very well determine the series for them. So here we are. From the 16 teams that started the month long tournament, we are down to only two. After surprising performances from wildcard teams and disappointing ones from teams hailing from established regions like the Americas and China, we’re down to an all-Korean Worlds finals for the second year in a row. With the beginning of the end of Worlds 2016 only a couple hours away, who do you think will win tonight?